Launched in 2011, Snapchat is an image and video messaging app that is very popular with tweens and teens and increasingly Millennials and Gen Xers. Similar to the early days of Myspace and its users mastering HTML hacks and widgets, Snapchat has an equally dedicated user base of young people that pride themselves on becoming skilled at Lenses, Filters, Stickers, and other Snapchat tips, tricks, and hacks. That doesn’t mean your nonprofit needs to become regularly active on Snapchat, but you should be aware of its increasing popularity and lay a foundation in case your nonprofit does decide to prioritize Snapchat in the future. Odds are, if you are a nonprofit professional over the age 29, your first impression of Snapchat will be bewilderment. The app and its interface is confusing to most people who came of age accessing the Internet primarily through a keyboard. Snapchat’s navigation and design is tailored for Gen Z – the mobile-first and mobile-only generation, but Millennials and Gen Xers are also becoming more active on Snapchat. Snapchat may also seems silly at first, stupid and pointless even, but once you get past your first impressions you’ll start to realize that Snapchat is a very unique mobile app-based community that shuns traditional marketing and comes with a complex set of communication tools (and possibilities). We have entered a new era of social media marketing. While posting boring content on Facebook, Twitter, and even Instagram may have been forgiven by your supporters in the early days, Snapchatters will have little patience with lame attempts to market your nonprofit on Snapchat. By sharing Snaps to your Story, you are asking your Snapchat Friends to take time out of their day to view your Snaps and you want to avoid your new Friends thinking to themselves ‘Lame Snapchatter “ after viewing your Snaps. The Snapchat Generation is the most marketed to generation ever and Snapchat users have high expectations from brands that decide to get active on Snapchat. You’re nonprofit will need to be creative and embrace Snapchat style and aesthetics. First, download Snapchat and claim your username. Even if you have no immediate plans of using Snapchat, you’d be wise to download the app and sign up to claim your username. Your nonprofit must always be proactive and reserve your username on social networks. Second, enable Filters and turn on Location Services to allow Geofilters. Filters enable you to add colored filters, the current time, local weather, and speed overlays to Snaps and must be manually enabled under Snapchat Settings > Additional Services > Manage > Filters. Geofilters are location-based Filters that require you to turn on Location Services for Snapchat in your smartphone. Once you enable Filters and turn on Location Services, you will then be able to access Snapchat Filters and Geofilters by swiping left or right while creating a Snap. Next step: create a custom Snapcode. To grow your Snapchat following, your first step is to create a custom Snapcode. Your supporters can easily add your nonprofit as a Friend by taking a screenshot of your Snapcode and then tapping Add Friends > Add by Snapcode. Don’t forget to promote your Snapcode and share your Snapchat Username on multiple communication channels. To gain new Snapchat Friends, you can use your new Snapcode as an avatar on social networks (rotate one week and one week off). Your nonprofit should also write a blog post announcing your new presence on Snapchat and then promote the blog post on multiple communication channels. Be sure to name the image file “your_nonprofit_name_snapcode” so your Snapcode shows up high in Google Image Search. Finally, you should also add a Snapchat icon to your website next to your Facebook, Twitter, and Instagram icons and have it link to your username. When a supporter clicks on your Snapchat username link, they will be sent to an in-app page where they can easily add your nonprofit as a Friend with one tap. What about your community members? Exactly…Add Friends and learn Friend Emojis. As your supporters begin to add your nonprofit as a Friend, add some back and see what kind of interaction you get. It’s too early to know whether it is a best practice to add back all your Friends, so to begin add Friends at a ratio of 1:10. Your nonprofit will be primarily sharing Snaps to your Story and mutual friendship is not required for your Friends to view your Story. You should also learn Friend Emjois which are only visible to you and are automatically generated based on your Snapchat activity. The key is below and it’s worth noting that Friend Emojis can be customized under Snapchat Settings > Additional Services > Manage > Friend Emojis. What are snaps? Snaps are picture or video messages that can be sent directly to Friends or shared to your nonprofit’s Story. 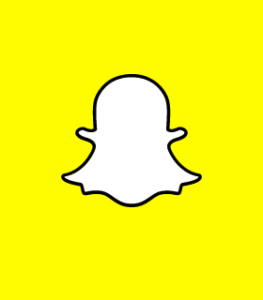 Snaps can be viewed for an unlimited number of times for 24 hours and then they disappear. You can add Filters, Geofilters, text, Stickers, and drawings to Snaps to make them uniquely Snapchatish. To begin, share your first Snap to your Story. An easy first Snap would be a picture of your nonprofit’s location with a Geofilter, then add text to declare that this is your first Snap and add some Stickers for fun and then share. On Snapchat you don’t get likes or resnaps, but Friends can leave Story Replies and your nonprofit can gauge your Friend’s interest in your Snaps by monitoring Who Has Viewed Your Story. Learn the basics through Snapchat Support. 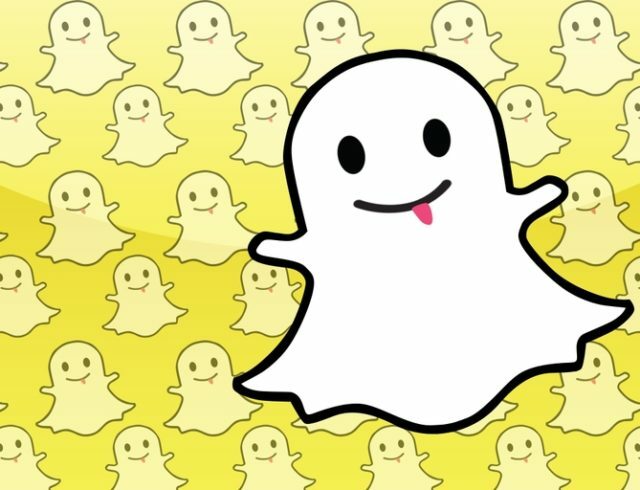 There are many, many website articles and blog posts dedicated to advanced Snapchat hacks, tips, and tricks, but before you branch out into advanced Snapchat it’s crucial that you understand the basics and Snapchat Support (support.snapchat.com) has written the best online guide to Snapchat. Or even better, visit their official page or their Youtube Channel.